Put on Aretha Franklin’s hit “RESPECT” and settle in for a bit more female-focused knowledge droppin’/homage noddin’. In honor of Women’s History Month, here’s a look at some amazing local ladies. Click here to read Part One of this two-part series. PLEASE NOTE: The following is a non-academic (think fangirl) interpretation of “history” (or herstory, as it were). After Bryant & Stratton College (now Bryant University) reconnected lifelong bffs Gertrude and Mary, they realized that they could do a better service to themselves (and the student population) by opening up their own college. 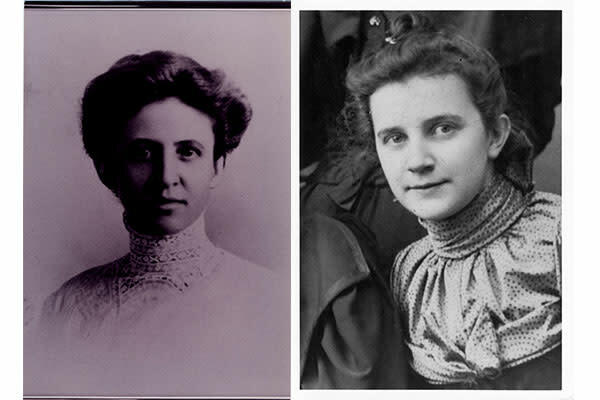 Mary and Gertrude met back in 1879 at the Pennsylvania Normal School and popped around the East Coast for a few years before settling in Providence. Rumor has it that when the ladies went into the bank for a business loan the loan officers just assumed it was for their husbands. They kept quiet on that one. The two opened the doors of Johnson and Wales (business school) in September of 1914, with one student and one typewriter on Hope Street in Providence. Shortly after World War 1, they moved their budding school to downtown Providence to better serve the GIs coming home. They made an impact on the world, with their early curriculum included bookkeeping, typing, shorthand, English and mathematics. Always business savvy, the ladies sold JWU in 1947 to some friends and entered into a quiet retirement (doubtful). Currently, JWU has four campuses across the country, and students are enrolled in business, arts & sciences, culinary arts, education, engineering, equine management, hospitality and engineering technology programs. Go anywhere in Providence today, or 20 years ago, and ask social justice warriors why they do what they do: they’ll say Sister Ann. There is — and never will be — another person like her. She was everything you loved about Sister Mary Clarence (Whoopi Goldberg’s character in “Sister Act”): funny, smart, witty, vulnerable and she could cuss like a sailor. Oh, and she had a couple of tattoos, too. One of a sea turtle if I remember correctly. Sister Ann, SSJ (Sisters of Saint Joseph), was patient, kind and gave nuns a good name. She would openly tell you that the hardest part of the oath she took in 1970 (poverty, celibacy and obedience) was poverty. Which is likely why she worked so hard to help the disenfranchised. 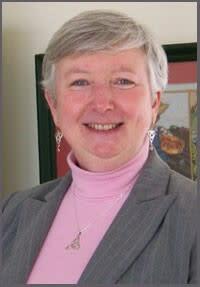 Sister Ann had no qualms about calling up/out elected officials to tell them exactly what they should be doing. Had she not chosen a blessed life, she would have made an excellent mob boss. She is and was my personal superhero. She co-founded the Institute for the Study and Practice of Nonviolence, created Providence ¡CityArts!, and sat on countless boards, from the Community Boating Center to AIDS Care Ocean State. There are about 40 other pots she had her hand in that I could list off, but who has time for that. Sister Ann certainly did. She joked that the reason she sat on so many boards and went to so many meetings was because she could usually guilt the hosts into providing snacks! In honor of the world’s best nun, pass the cheese, please. Personally, I don’t believe one month is enough to celebrate these beautiful majestic goddesses. But the smallest State in the Union is chock full of great ladies, so find one and tell them you appreciate and value their contribution to the world. Who run the world? GIRLS!